China has taken a lead in making search engines more social, after Baidu, the country’s largest search provider, announced that it has begun indexing real-time results from popular microblogging service Sina Weibo. While neither Facebook nor Twitter have granted Google access to their data for search results, having once done so, their Chinese equivalents have come together to play nicely and bring information from the service to a wider audience in China. 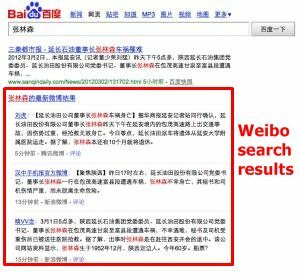 Starting today, Baidu now prominently displays breaking real-time news and trending content from Sina Weibo in results, while the search engine also includes related content from three other microblog services, including Tencent Weibo. Results from the microblogs is shown towards the top of the results page, and labelled to explain that it is taken from the social site. You can test the feature out by searching with any of the trending topics found at Baidu Fengyunbang, its trend insight page. However, once they have been searched for, a registered Sina Weibo account is required, as messages on the service can only be read by its users. We process billions of search queries on a daily basis, and many of those queries are related to the real-time information found on microblog posts. 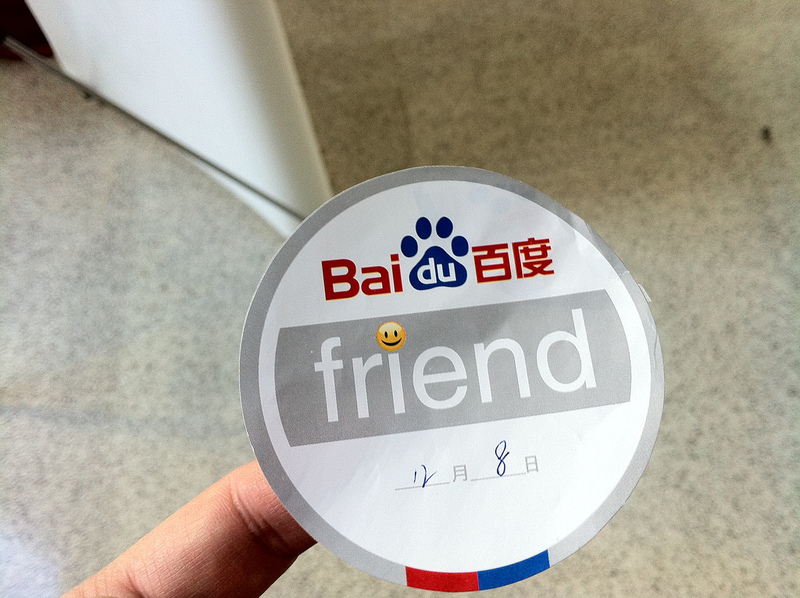 With this deal between Baidu and Sina Weibo, Baidu has completed its integration of high-quality content from China’s four leading microblog platforms. From Sina’s side, Peng Shaobin, vice president and general manager of microblog operations, said that the company “hopes to encourage the continuous development of China’s Internet industry by actively cooperating with other major online platform”. Shaobin also lauded Baidu as a “highly efficient channel for extending the reach of quality real-time information to more netizens”, as Sina looks to increase its Weibo’s influence within China’s Web space. The inclusion of social news gives Chinese Internet users a new place they go to see what’s happening but, thanks to Baidu’s wide range of search and other products, they are able to get more than just a search on Sina Weibo or Tencent Weibo gives. Shaobin repeated comments from CEO Charles Chao, that the services now has more than 300 million users, while he also revealed that it is seeing 100 million messages and comments posted by its users each day. The move is yet another example of Baidu’s dominance of the Chinese Web space, where it leads Google by some way. We compared the two firms last week and showed that Baidu holds 83.6 percent of China’s search market, to Google’s 11.1 percent. Revenue-wise, Baidu accounts for a reported 77.7 percent of the $866 million (5.5 billion yuan) market, with Google taking home 18.3 percent. News of the collaboration comes two weeks before the introduction of a government ruling that will mean users of Sina, and other Weibo, must verify their identity on the service using official ID. Chao admits that the move will hurt the service, by reducing activity there, but unverified users will still be able to read news and messages there. Given the move to index real-time results with Baidu, Sina is pushing the news consumption benefits of Weibo, particularly for unverified users that fear the repercussions of being fully accountable on the service.